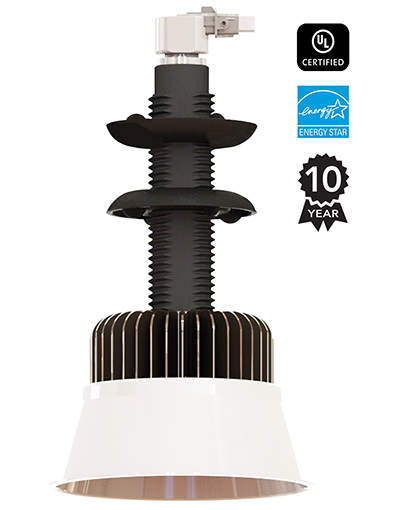 August 23, 2016, Longmont, CO – TERRALUX, a leader in the design and manufacture of commercial LED lighting and building control products, announces the release of a new energy efficient LED retrofit kit for upgrade of existing commercial HID downlights. Founded in Boulder, Colorado, Terralux has been designing and manufacturing award winning LED retrofit kits, light engines, drivers and integrated intelligence solutions for the commercial built environment since 2003. Terralux technology can be found in : education, multifamily, hospitality, office municipal and retail buildings. Terralux retrofit solutions are easy to install, highly reliable, and economical. Terralux is an ISO 9001 Certified company and the IP portfolio consists of nearly 100 U.S. and foreign patents, issued or pending across the most critical aspects of LED technology.